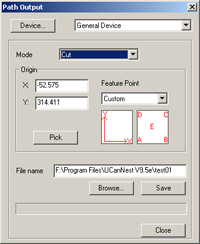 UcanNest V9 is compatible with CAD programs so that it does not require any third party CAD packages. 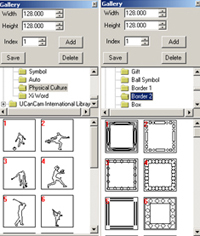 Besides many files can be imported into UcanNest V9, such as vector files: dxf, eps, plt, AI and bitmap format files: jpg, bmp, tif, png. It includes Array duplication、Duplication along a line、Duplication along an Arc、Duplication along a spiral curve. 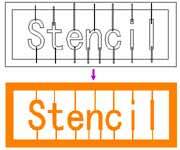 Text Editing: Including word size, word spacing, line spacing, horizontal and vertical, alignment and so on. Text Composition: Along a curve, inside a box, reverse arrangement and texts in sequence. Text Properties: Arbitrary scaling text size, text attributes remnant unchanged; text can be converted into graphics. 3) Precise calculation, such as inside hole nesting, to improve the efficiency of working and utilization rate of material. 4）After nesting, A most economical line and an excess material graphic can be generated automatically. This is one of the particular function in UcanNest V9.It provides the solution for cutting bevels and solution for cut in/out. With node editing function, chamfer and fillet can be generated accurately and extracted contour can be edited quickly. 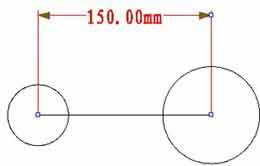 The parameters of the length of cut in/out line and rounded angle radius can be set accurately. Multi-node can be edited once. 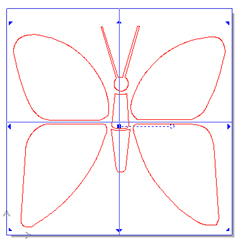 With node editing function, you can edit extracted contour of figure accurately and arbitrarily. You also can change the shape of cut in/out line and select any node as the starting point for machining. Bridge is to minimize the wear and tear on consumable items in cutting process. The number of pierce holes can be reduced by using bridge or break-out bridge. The minimum bridge width should be larger than kerf value. The length of Cut in/out line should be set respectively. Setting position and width of Break-out Bridge arbitrarily; Reducing the piercing of the holes in oxy flame cutting and consumed electricity in plasma cutting for effective improvement of productivity and expenses on consumable parts. It can be straight line, Arc or others. 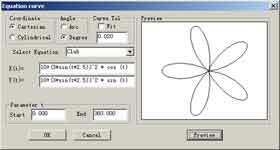 Parameters as the length of line, angle of line (0―90) and radius of arc can be set accurately. Snap function is very helpful when we draw figures. It improves the efficiency of drawing. 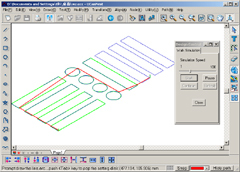 This function also can be used for accurately finding Cut in/out position. The type of position will be shown when cursor moves on it. Entering the shortest distance value between cut-out of last part and cut-in of the next part to facilitate the possibility of continuous cutting, can reduce the number of pierce holes in oxy flame cutting and save nozzle for effective improvement of productivity and expenses on consumable parts. When generating a path for a figure with both internal outline and external outline, UcanNest V9 will calculate path for internal outline and external outline respectively and add cut inline for them. Internal outline is in inner so that you need not define internal outline and external outline in person. This function includes auto path and manual path. Auto Path can generate the cutting path automatically. It can be classified into On, Outside and Inside according to relationships between the torch center axis and the contour. The parameters of it include Offset compensation (left, right, none) and Processing speed. 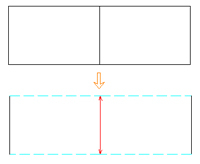 When doing manual setting for cutting path, you can cancel the action and re-select direction of travel and you also can change the direction of travel by changing the direction of arrow and broken line, So that under the instruction of manual path, it is easier to generate the path for common cutting. We can edit generated path. Such as Path Sequence, Path Panel, Group Path, Ungroup Path and path stat. 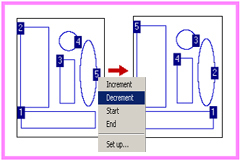 Tool path sequence can be adjusted so as to improve machining process and machining quality. The sequence number of path is shown at the beginning of start point for processing so that the sequence number is easy to change. Path panel is used to divide a path into several smaller portions so that you can machine materials accurately even when the work area of your machine is not big enough. After machining, you can combine the portions together to form a complete one. In this way, not only machining time is reduced, but efficiency is improved. You can group several paths as one unit for machining. You also can output several paths respectively. With Path Stat., the UcanNest V9 can show all the length of path, rapid move distance, piercing hole count, cutting time，so that we can evaluate the efficiency of path. 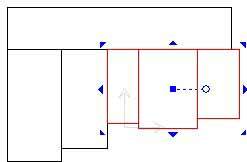 Machining path can be previewed though path walk simulation, which can avoid machining errors and reducing fault. Simulation speed can be changed. Machine processing (cutting, pre-pierce, marker) cutting speed, fast speed; original point based on a special point or precise positioning output. Pre-pierce---we can utilize the used nozzles to finish the holes first and then continue cutting with the good nozzle, so that nozzle can be saved. Marker---draw the outline of figure. It is an inspection before processing. 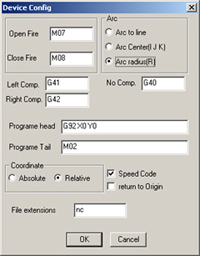 Software generates G code and M direction. You can add different types of device as you required. Set parameters for Opening fire and Closing fire. Files' types can be *.nc 、*.txt or others. You can check or un-check generated speed command. About 10 thousand symbols are provided in UcanNest V9, including trade marks, auto brands, animals and plants, furniture, human figures, etc. Users can also create their own symbols and save them to My Library.